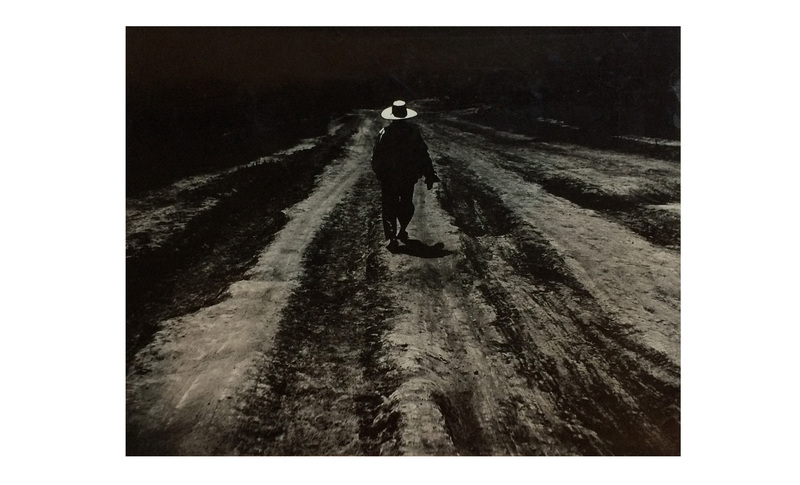 This photograph comes from the photographer’s landmark book entitled América: un viaje a través de la injusticia (Siglo XXI Editores, 1970). With enormous expressive force and sepcial attention to the textures and materials, Bostelmann denounces the poverty of the indigenous peoples of Latin America. Born in 1939 in Guadalajara, Mexico. Died in 2003 in Mexico. Born of German parents, Enrique Bostelmann was raised in Guadalajara, where in 1957 he received a grant to study photography for three years at the Bayerische Staatslehranstalt für Photographie in Munich. He began work as a professional photographer in 1961, later giving classes in the Instituto Paúl Coremans in Mexico City. From 1983 to 1986, he was the vice chairman of the Consejo Mexicano de Fotografía. He served on the juries of various biennials and photography awards, including the photography biennial of the Instituto Nacional de Bellas Artes (Mexico City), the Kinsa Prize (Rochester, New York), and the Premio Casa de las Américas (Havana). Bostelmann belonged to a generation of photographers who captured the rural Mexico of the 1950s and 1960s, exploring every corner of the country.